HO CHI MINH CITY, Vietnam—Ba Sao Investment recently equipped International School Ho Chi Minh City with a complete networked AV and lighting solution by HARMAN Professional Solutions. Founded in 1993, International School Hi Chi Minh City (ISHCMC) is Ho Chi Minh City’s most established international school. Offering excellent learning opportunities to students representing over 50 nationalities, ISHCMC is the first school in Ho Chi Minh City to provide all three International Baccalaureate curriculums. 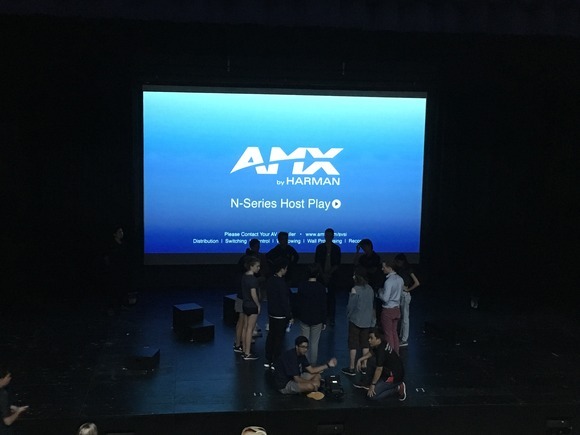 In addition to the campus’s modern classrooms, collaborative learning spaces and dedicated study areas, ISHCMC recently constructed a brand new 350-seat theater. In order to ensure exceptional audio quality and intuitive control for musical productions on the theater stage, ISHCMC hired Ba Sao Investment to outfit the new facility with premium audio, lighting and control solutions. Ba Sao Investment installed a complete HARMAN networked AV system made up of solutions by JBL, Crown, AKG, BSS, Martin and AMX. To ensure premium sound reinforcement for productions in ISHCMC’s new theater, Ba Sao installed a range of JBL AE Series loudspeakers. Compact AC25 and AC18/95 speakers combine high output with high fidelity, while AM5212/00 two-way speakers provide excellent coverage, adjustable waveguide and low distortion. ASB6112 18-inch subwoofers offer the extended low-frequency bandwidth needed to produce an impactful theater audio experience. For critical listening and mixing tasks in the theater, the team included JBL LSR305 studio monitors and AKG K240 MkII headphones. The entire system is powered by Crown XLi amplifiers and networked via BSS Soundweb London BLU-100, BLU-BOB2 and BLU-DA signal processors for unmatched sound quality, reliability and user control. Ba Sao included a Martin M2GO HD integrated PC-based lighting controller and a range of AMX encoders, decoders and transceivers to give ISHCMC’s staff intuitive control over the sophisticated AV and lighting system.